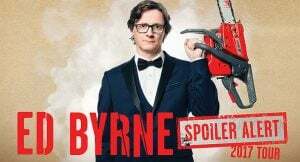 It goes without saying that someone menacingly brandishing a chainsaw is perhaps not to be messed with, even if the person in question is Dublin born, UK based and much-loved comedian Ed Byrne. It may be his supremely genial exterior conceals a darker inner core although I’ve not heard reports of any of his live shows bearing witness to him donning a leather mask and swinging the horticultural aid above his head… there is still time though. Catching up with Ed at the back end of the Autumn leg of his epic Spoiler Alert tour; you’ve only got to look at all the dates to start reaching for the travel sickness tablets. 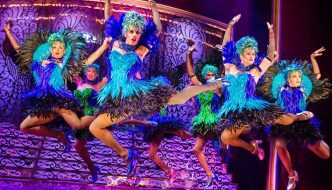 Today Byrne is en-route to Hull, the first of a brace of pre-Christmas dates in the county, the other being at Bradford’s splendid Alhambra Theatre. 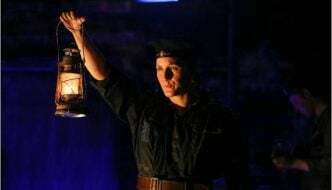 Following a Yuletide hiatus, Spoiler Alert resumes in mid-January, Ed preferring to zigzag across the land playing smaller venues as opposed to taking the arena route increasingly popular with his contemporaries these days. Instead he’s returning to Yorkshire in February with two nights at the delightfully intimate Leeds City Varieties, followed by Harrogate’s Royal Hall the night after, appearing at Sheffield City Hall on 2nd March. When questioned about the nights spent far away from home, Byrne appears relaxed and pragmatic, “I mean, absence makes the heart grow fonder. I sometimes think it’s good for a marriage if you piss off for half of the year”, intimating that there are worse ways to earn a living. Catch Ed Byrne’s Spolier Alert at Leeds City Varieties on 21st and 22nd February 2018.